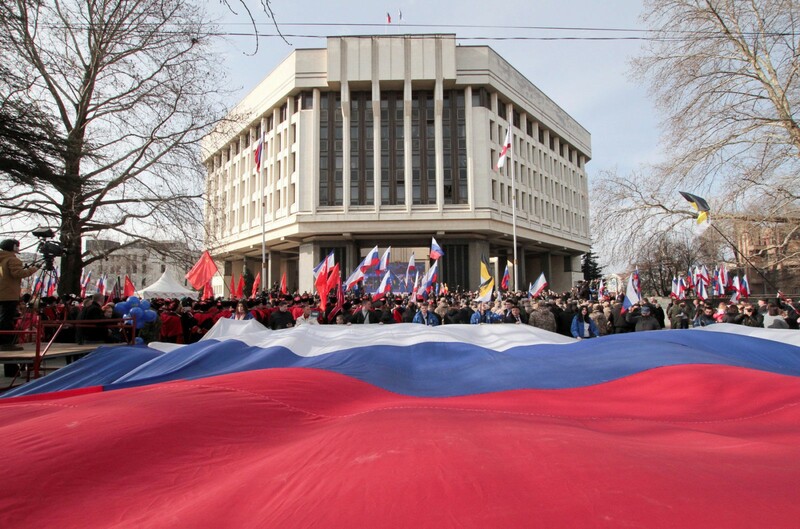 It would not be entirely precise to describe the annexation of Crimea in 2014 as a Rubicon moment for Russian foreign policy. Looking back, attempts to build a closer cooperation with the European Union had already stalled in the early 2010s. By then, Russia’s Eurasian integration project was already at loggerheads with the EU’s Eastern Partnership. Equally, Russia’s “Pivot to Asia” — a cornerstone of Kremlin foreign policy since the annexation — was in fact unveiled and underway by 2012. As for geopolitical rivalry with the United States, there have been countless pre-Crimean attempts to promote multipolarity (as opposed to a US-led unipolar world). Some of these predate Crimea by a decade or so, and are mostly based on the perceived combined potential of the BRICS. That said, it was the annexation of Crimea, and the subsequent hostilities in the east of Ukraine, which have catalyzed Russia’s actions — adding urgency and impatience to its bid to achieve multipolarity. This has meant that for the past five years, Russia has been actively pressing the West to reconsider the results of the Cold War, which effectively consolidated the Western interpretation of the law-based international order, in favor of the right of the “poles” to establish their own rules of the game. In a sense, one has to hand it to Russia for sticking to its position here, no matter the costs and risks. Sanctions and other restrictions imposed by the West have not changed the overarching themes of Russia’s foreign-policy decision making process. Russia launched its first military campaign in Syria in 2015 (and ended it officially three times already) in support for the Bashar al-Assad regime. Despite the costs incurred to Russia, that support remains, all in the face of opprobrium from the EU and the US. Russia is actively pursuing an expansion of its sphere of interests — directly and indirectly gearing up its presence in the Maghreb and sub-Saharan Africa. It is defending the Maduro regime in Venezuela and promptly extending a helping hand to the DPRK in North Korea. No international attempts to resolve the Donbass conflict have yet yielded any meaningful results or pushed Russia into being conciliatory. The rhetoric of the Russian president, the top military leadership, the Russian Foreign Ministry and any deputy who for some reason speaks out about foreign policy, is intended to convey one simple thought, both to a Russian audience and to the rest of the world: Russia is not going to reconsider its foreign policy, no matter the price. All signs point to the Kremlin digging in further — all in the name of proving to Western countries, and especially the United States, that multipolarity has already arrived. Russia is acting with a shrug to the West’s reaction for some time now; and the hope and expectation is that eventually the West will recognize “objective reality” and come to Moscow to negotiate new rules of the game. By interpreting foreign policy goals as prevalent over the objective of internal development (and sometimes directly opposing the goals of development of human capital in Russia), Russian leadership further cements the inevitability of Vladimir Putin’s rule. As long as Russia is engaged in “historical confrontation with an aggressive West,” the need of internal development are put on pause. Especially when it comes to such “western concepts” as human rights. Moreover, rising dissatisfaction caused by economic hardship in Russian society justifies further tightening of the screws: whether it is rights of assembley, or civic activism, or freedom of speech in person, in print or on the internet. The further away we get from 2014, the easier it is becoming for the state to treat any discontent as potentially dangerous and requiring strict suppression. What was once presented as “special Russian democracy” that allowed for private personal freedoms in exchange for abandoning political subjectivity is now reduced to the “need for obedience” in a state of emergency in the international arena. One can speculate whether the Kremlin really believes in the threat of an “orange revolution” coming from those discontented by, say, the pension reform, or from “unpatriotic” users of social networks. For that matter, it is questionable how adequately those at the top are even evaluating the risks of repressive measures, or the knock-on effects of recent socio-economic policies. 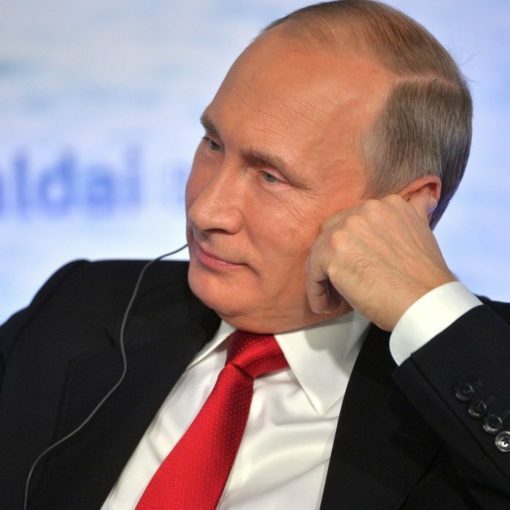 One thing, however, is clear: the current foreign policy, in the eyes of the Security Council and President Putin, justifies almost any measures to restrict freedoms (including economic) within the country, opening up the use of any domestic resources for the implementation of a “sovereign” foreign policy program. What does a “sovereign policy” even mean? 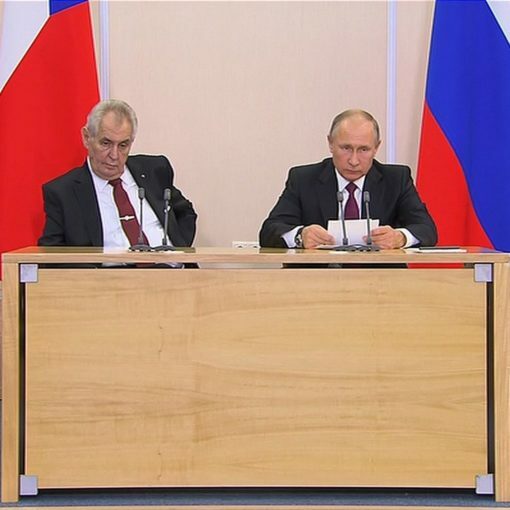 Until 2014, the Kremlin was still able to balance between the attempts to “convince” its partners of the legitimacy of Russia’s claims by diplomatic methods and periodic demonstration of power (for example, Georgia, 2008). 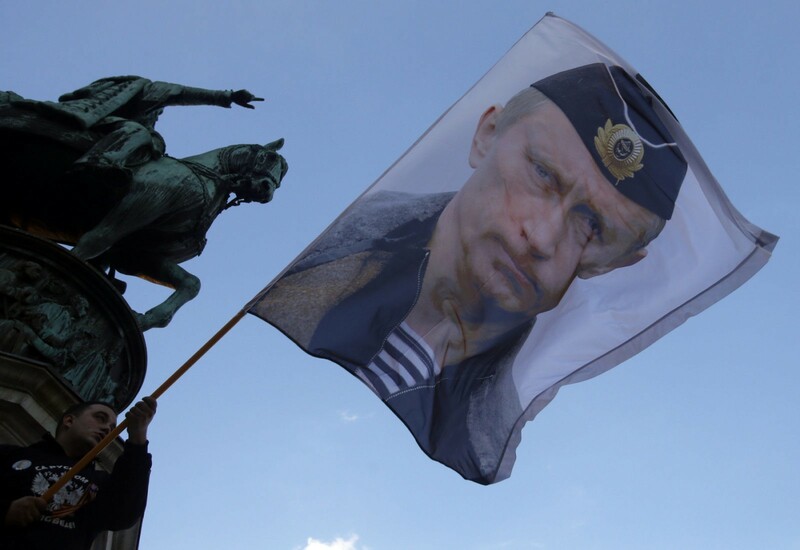 After Crimea, the margins for maneuver shrank. 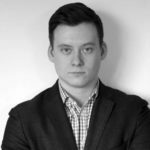 Nevertheless, contrary to the expectations of Western countries, the Kremlin, putting at stake its reputation, relations with its neighbors and putting its economy at risk, rushed forward to create new points of tension. Ukraine, of course, played a central role in Russian politics in the period from 2014 to 2015. After the relatively painless annexation of the Crimea but the failed “Novorossiya” project, Russia has concentrated its efforts on freezing the conflict in the Donbas, creating an insurmountable barrier on Kyiv’s way to the EU and NATO. After the active phase of hostilities in 2015, the Kremlin got to work subordinating the DPR and LPR, purging the most radical and independent elements, minimizing the unsanctioned incidents on the ground, and thus limiting at least the adoption of new sanctions introduced because of Ukraine. Current Kremlin Ukraine policy towards is focused on awaiting the collapse of the post-Maidan government. Whether it happens because of democratic elections, or due to another Maidan protest movement, is not so relevant. 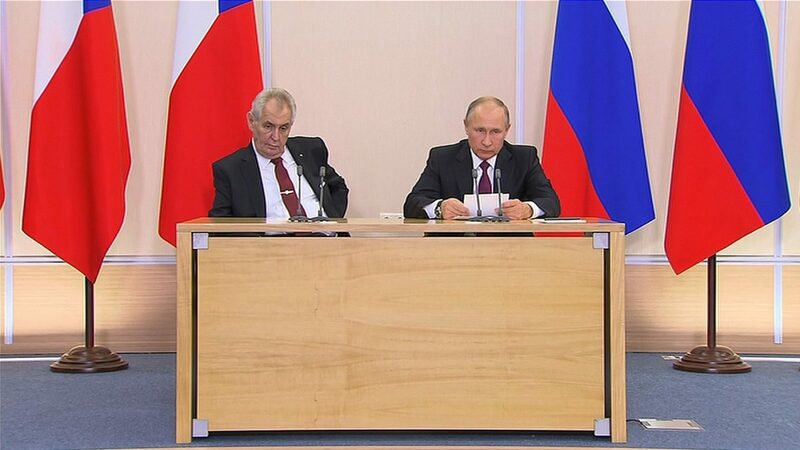 Meanwhile, negotiations within the framework of the Minsk process have stalled. All new ideas and approaches have so far been rejected by one or the other side of the conflict. The European Union still remains the top priority partner of Russia in international relations. Over the past five years, Russia has put a lot of effort into “influencing” Brussels’s solidarity with Washington. (Since 2016, Washington has done a lot to undo transatlantic solidarity as well.) 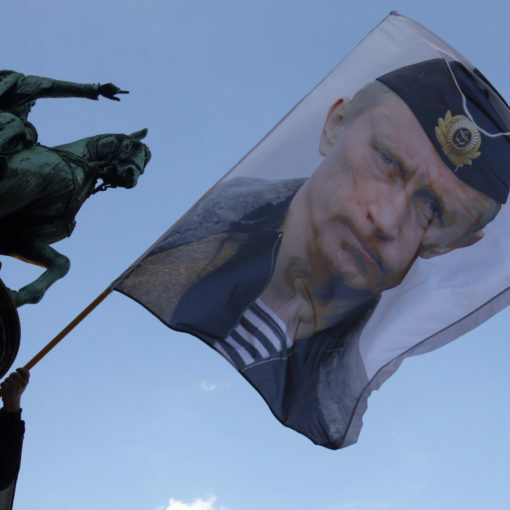 Russia has deployed even greater efforts on catalyzing destabilizing factors within the EU itself. It has supported of radical parties on the left and on the right. Russia has also interracted actively with any forces ready to challenge the legitimacy of sanctions. None of this has brought any significant results. But the Kremlin is still holding out for something. The hope is that the EU’s internal problems — whether they are issues of values and norms, the eurozone, Brexit, or migration, for example — might make the EU more inclined to compromise and conciliate Russia. There might be a new generation of European leaders with different mindsets and eager to involve Russia in some way. Paradoxically, this could be at the core of Putin’s support for French President Emmanuel Macron’s idea to create a European army. 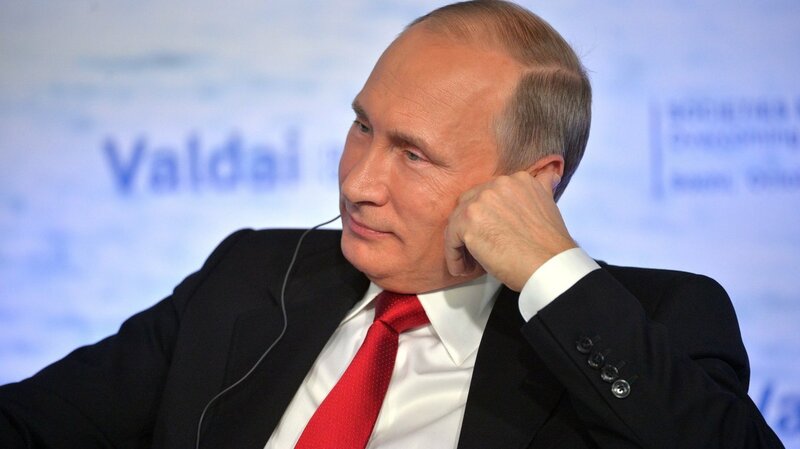 Putin described this process as positive “in terms of strengthening the multipolar world”. Of course, what is implied is that such a process would lead to de-facto decomposition of NATO and the gradual emergence of “fortress Europe.” In effect, such a fortress would be too fussed with its own security, thereby abandoning the practice of promoting of universal values and globalisation. A “European approach” in a narrow meaning of the term. Since 2014, Russia has stepped up its idea of a pivot to the East, which in practice looks more like a pivot to China. In retrospect it is clear that the hopes voiced in 2014–2015 that China will replace Europe as Russia’s main investor have turned out to be overly optimistic. It is worth noting that the share of trade with China in Russia’s foreign trade increased from 11.3% in 2014 to 15.7% in 2018. (From China’s trade perspective, Russia accounts for about 2%). Nevertheless, the EU still accounts for 42.7% of Russia’s trade, despite the introduction of counter-sanctions and the overall decline in the purchasing power of the Russian Federation. China very selectively supports Russian claims in formulating the agenda of a multipolar world, without risking backing Russia on the most sensitive issues concerning Ukraine. China categorically refuses to even discuss the possibility of a new agreement on the elimination of medium-range and short-range missiles, which would include not only Russia and the United States, but China as well. Certainly, Moscow and Beijing are brought together by a common vision of the international agenda in a number of areas. But this is nowhere enough to form a de-facto alliance. As Alexander Gabuev notes, Russia needs China much more than China needs Russia, which is not conducive to an equal partnership. Over the past five years, the world has not come very close to resolving the civil war in Syria, but Russia has significantly increased its influence in the region, often successfully maneuvering between the interests of Turkey, Iran, Israel and Saudi Arabia. Moscow de-facto made the West recognize Assad’s rule as inevitable; this has in turn helped propel Russia into a made itself a permanent member of political settlement processes over a number of other issues in the region. And this, perhaps, is the main achievement in Russia’s quest for multipolar world. A totally different question is how Russia can convert its status in the region to help solve more pressing issues in its relations with EU and the USA. So far, Russia’s success is not entirely reputational; but it is still an open question as to what this might mean for any future strategy or long-term consolidation of the “victories” on the ground, and whether Russia will ultimately prove able to make its presence felt on the future political map of Syria. Of course, most hopes and expectations were associated with the United States. Washington is the main pole of any multipolar world, and the Kremlin is justly recognizing the leadership of the United States on a whole range of issues. That is why Moscow, despite the wave of sanctions and the unprecedented anti-Kremlin rhetoric of the American establishment, does not abandon attempts to offer a “great bargain” to President Trump. And although in the Russian expert community there are no longer those who believe that the meeting between Putin and Trump can dramatically change the logic of the development of Russian-American relations, the Kremlin still hopes the meeting is only a question of time. And its delay is mostly caused by US internal affairs. Indeed, the American president appears ready to fly to Asia twice within a year to meet with the DPRK leader. Surely, the Kremlin must wonder, that means the US president will make time for an official meeting with Russia before too long? Truth be told, much of the multipolarity rhetoric rang a better note back in the year 2007. That was when the economies of the BRICS countries grew much faster than Western countries, and it seemed natural that the newfound economic power should be converted into greater political global participation. 12 years have passed since then, and it has been a rough ride for many of the BRICS. 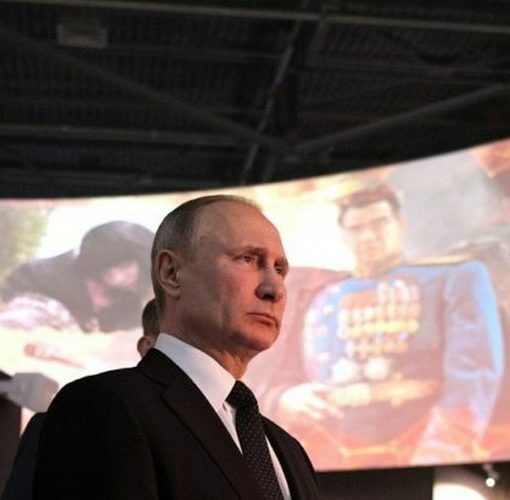 Putin continues to repeat the same mantra about the coming multipolar world: “The problems that have arisen in previous years in world affairs are connected with the unipolarity of the world that arose after the collapse of the Soviet Union. Now everything is being restored, the world is becoming, if it has not already become, multipolar”. Indeed if one so fervently believes that a change is coming then it is understandable why any crises in the neighbors affairs is interpreted as the signs of that change coming. But there is something delusional about a desired “tomorrow” being on its way, and still on its way, since 2007. If the last 5 years of active “approaching the multipolarity” have been about speeding things up, it might paradoxically have slowed things down. It is a simple cause and effect of impatience and rash urgency triumphing over a focus on sound economic development or the well being of Russia’s own citizens.